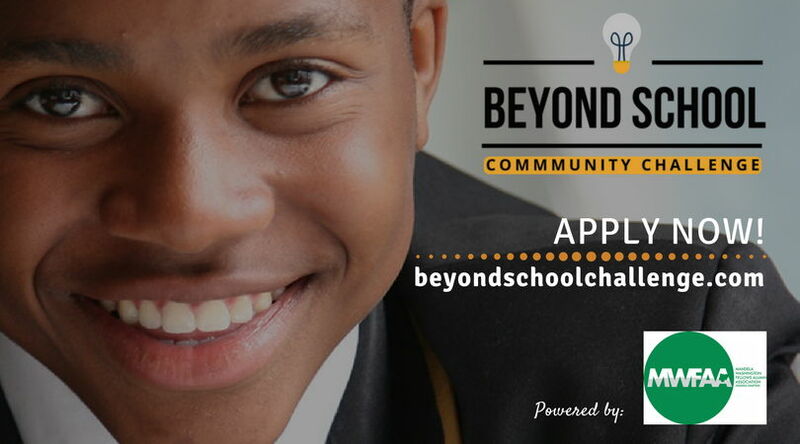 The Mandela Washington Fellowship Alumni Association of Nigeria (MWFAAN), has called for applications for the second edition of it’s flagship programme, the Beyond School Community (BSC) Challenge for secondary school students in Nigeria. The BSC Challenge is a national community development and entrepreneurship program designed specifically to engage young Nigerians in secondary schools (both private and public) to develop the critical entrepreneurial skills they need to make impacts in their communities. It seeks to inspire students to improve their communities through innovative entrepreneurial actions. The programme according to a statement by the organisers provides a platform for teams of outstanding secondary school students to create community development projects that capitalize on people’s ideas and talents as the pillar for making social and economic impacts. In the maiden edition of the programme held in 2017 the following schools emerge as first, second and third place winners respectively: New Frontiers Change Agents – Gateway Excel College, Benue State, Team Go Green – Baptist Boys High School, Ogun State and Team VIM from Chrisdom Schools, Kaduna State. According to the association the second edition of the challenge would incorporate a Youth Leadership Summit to increase awareness, impact and create a larger platform for successful teams. The President further explained that ten Finalist teams will receive invitation to the Pitch competition and Youth Summit in Lagos, Nigeria. In addition, the top three winning teams will receive/share exciting cash prize of N400,000, mentoring and educational grants. There would also be a Teacher Prize to be given to the most outstanding and committed teacher amongst the competing schools.The competition is open to secondary school students in rural, as well as urban areas within the age range of 13-18 throughout the country. To apply, interested students should download the application form online at www.mwfaan.org.ng/bsc and follow the instructions to the letter, identify one significant problem in a specific community and propose an innovative solution with social and economic impacts and then build a team comprising of 3 students in the age range of 13 to 18 and select a teacher as an Advisor. Furthermore, the participants would then take YALI Learn course online and upload at least a member’s certificate as a Team with the help of the advising teacher. It is imperative that the proposed solution significantly addresses at least one relevant targets of Sustainable Development Goals (SDGs). More information on how to apply, can be found on the challenge website, mwfaan.org.ng . or mail bsc@mwfaan.org.ng for enquiries and uploading of Application Forms.